Fuel Oil Poisoning is the accidental or intentional intake of the compound. The intake may be through swallowing or inhaling fuel oil vapors. What is Fuel Oil Poisoning? What are the Causes of Fuel Oil Poisoning? What are the Signs and Symptoms of Fuel Oil Poisoning? The signs and symptoms of Fuel Oil Poisoning can vary from one individual to another. It may be mild in some and severe in others. Several systems of the body, such as the digestive system, respiratory system, vascular system, nervous system, skin and ENT may be affected. How is First Aid administered for Fuel Oil Poisoning? Who should administer First Aid for Fuel Oil Poisoning? 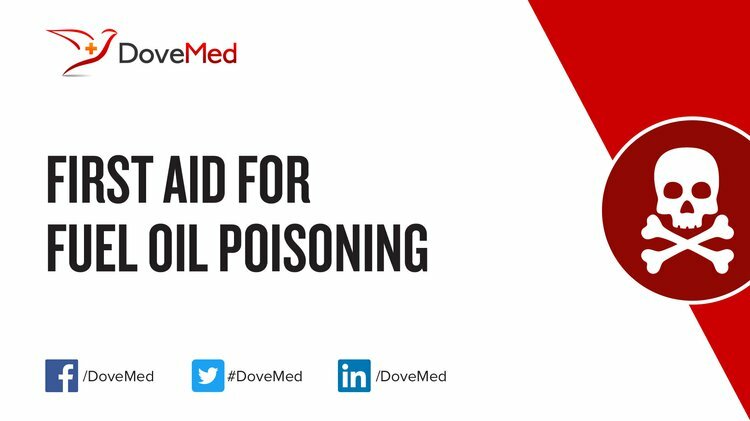 First aid for Fuel Oil Poisoning is administered by healthcare professionals. What is the Prognosis of Fuel Oil Poisoning? How can Fuel Oil Poisoning be Prevented? Lahaye, J. (Ed.). (2013). Soot in combustion systems and its toxic properties(Vol. 7). Springer Science & Business Media. Aguilera, F., Méndez, J., Pásaro, E., & Laffon, B. (2010). Review on the effects of exposure to spilled oils on human health. Journal of Applied Toxicology, 30(4), 291-301. Raslavičius, L., & Bazaras, Ž. (2010). Ecological assessment and economic feasibility to utilize first generation biofuels in cogeneration output cycle–The case of Lithuania. Energy, 35(9), 3666-3673. King, G. E. (2012, January). Hydraulic fracturing 101: what every representative, environmentalist, regulator, reporter, investor, university researcher, neighbor and engineer should know about estimating frac risk and improving frac performance in unconventional gas and oil wells. In SPE hydraulic fracturing technology conference. Society of Petroleum Engineers. Colborn, T., Kwiatkowski, C., Schultz, K., & Bachran, M. (2011). Natural gas operations from a public health perspective. Human and ecological risk assessment: An International Journal, 17(5), 1039-1056. Shah, Y. R., Sen, D. J., Patel, J. S., & Patel, A. D. (2011). Aromatherapy: The doctor of natural harmony of body & mind. International Journal of Drug Development and Research, 3(1). Ali, M. H., Mashud, M., Rubel, M. R., & Ahmad, R. H. (2013). Biodiesel from Neem oil as an alternative fuel for Diesel engine. Procedia Engineering, 56, 625-630.
reza Akhondi, M., Talevski, A., Carlsen, S., & Petersen, S. (2010, April). Applications of wireless sensor networks in the oil, gas and resources industries. In Advanced Information Networking and Applications (AINA), 2010 24th IEEE International Conference on (pp. 941-948). IEEE.